BRADFORD’S, Harris Akbar, is hoping to impress the GB Boxing coaches when he defends his welterweight title at this week’s GB Boxing Championships. The event, which will feature some of the best up-and-coming young boxers in Great Britain, is being held at the English Institute of Sport in Sheffield on Thursday 6 December 2018. Tickets are still available, priced at £10 at https://www.ticketsdirect.org.uk/gbchamps/EntryForm.aspx . Groups who purchase ten tickets will receive two free tickets. 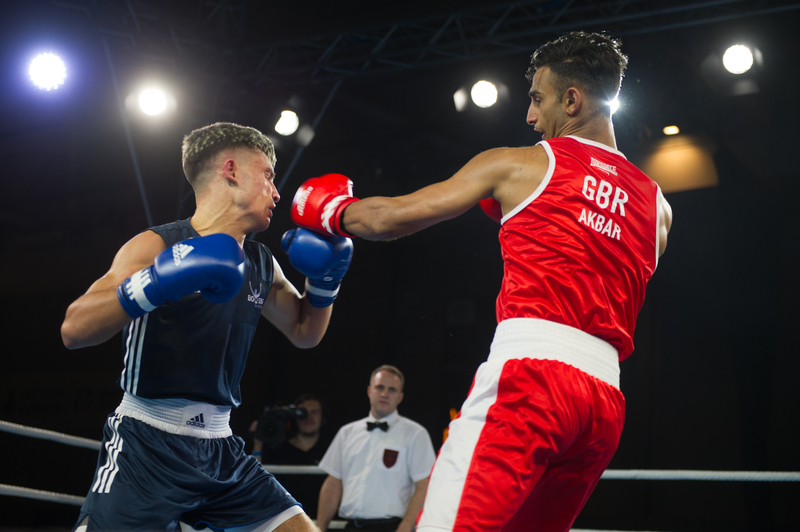 Akbar has been part of GB Boxing’s Podium Potential squad for two years and is hoping that an impressive performance in this week’s event will earn him promotion to the elite Podium squad. 2018 Commonwealth Games gold medallist, Pat McCormack and Birtley ABC’s, Cyrus Pattinson, are both ahead of Akbar in the pecking order for Tokyo 2020 but the Bradford boxer is aiming to put pressure on the pair whilst also looking to the long-term. Akbar said: “Next year I want to achieve big things. I have been on the Podium Potential squad for a while now and my aim is to impress the coaches so that I get to move up to the Podium squad. “I know my GB opponent well – very well in fact as we’ve travelled the world together for tournaments. The GB Championships has a lot of good fights coming up between some cracking British boxers. “Looking to the future, I have one eye on Tokyo, but if that doesn’t happen there’s the Commonwealths in Birmingham in 2022 and the 2024 Olympics in Paris, along with the world championships and the Europeans. There are so many tournaments which I can go to and be the number one at. I’m looking forward to showing the world what I can do. Other GB Boxers competing on the night include flyweight Kiaran MacDonald from the Podium squad. He will be joined by heavyweight Lewis Williams from the Podium Potential squad who is also defending the title he won last year. In the women’s competition, Omarah Taylor from GB Boxing’s Women’s Development squad will also be defending her crown in the welterweight division.